As expected, Brendan Rodgers has been appointed as the new Leciester City manager after moving from Celtic. 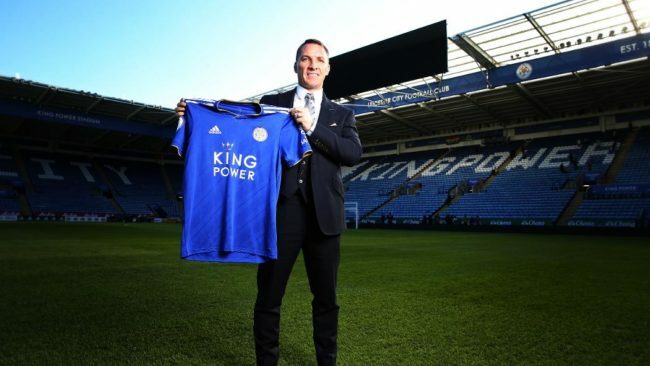 The 46-year-old Rodgers replaces Frenchman Claude Puel who was shown the door at the King Power Stadium after a dismal run of form culminating in am embarrassing 4-1 home defeat to Crystal Palace at the weekend. Rodgers is no stranger to the Premier League, having steered a Luis Suarez-inspired Liverpool to within touching distance of the title in 2013-14 before getting sacked in October 2015. The Northern Irishman also managed Swansea in the top-flight after spells with Watford and Reading in the Championship. Rodgers also enjoyed huge success in Scotland after moving to Celtic in May 2016, picking up seven domestic trophies and qualifying twice for the Champions League proper. It feels great, it’s obviously come very quickly and obviously, of course, over the last few days, but I know I’m joining a fantastic club that has grown so quickly over these last few years. I’m just delighted to be here. I think there was a number of reasons why I joined. I was certainly in no hurry to leave Celtic. Celtic is a club that’s a huge club worldwide, a renowned club, and I loved working with the players there. “We were on a journey of great success over these last years but when the opportunity came to talk to Leicester and I was able to analyse it, it allowed me to think that I’d probably achieved and taken the club maybe at Celtic as far as I could at this moment. The Foxes currently lie 12th in the Premier League and in serious need of a change of fortune after losing each of their last four league games. With Rodgers departing Celtic Park, Neil Lennon returns to the Bhoys to take over until the end of the season. Pies, for one, are glad to see Rodgers and his magnificent brand of pseudo-business-speak back in the Premier League. All the best to Brendan Rodgers. Foxes look set to get on the front foot.